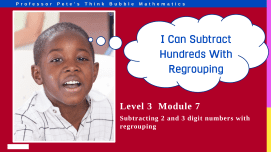 Visual animated presentations in the Think Bubble Mathematics series on the topic of Addition and Subtraction Facts. 6 pp. 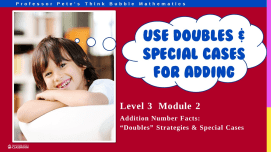 Worksheets to accompany Interactive PowerPoint Think Bubble Math 206. 4 pp. 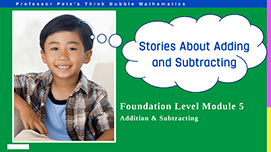 Worksheets to accompany Interactive PowerPoint Think Bubble Math 306. 6 pp. 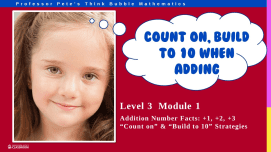 Includes worksheets, number lines and hundred grid. 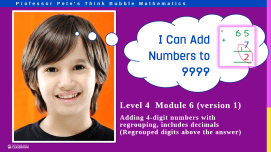 Accompanies Interactive PowerPoint Think Bubble Math 207. 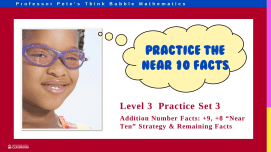 34 slides. 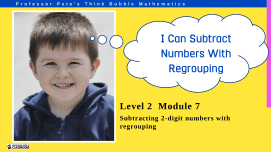 Visual presentation of algorithms for subtracting from 2-, 3- and 4-digit numbers, including regrouping and zeros. 4 pp. 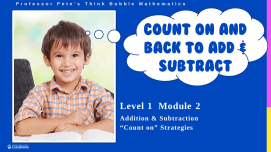 Worksheets to practise subtraction from 2- and 3-digit numbers. 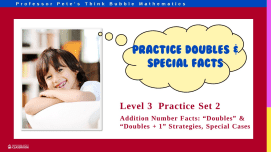 Accompanies Interactive PowerPoint Think Bubble Math 307. 48 slides. 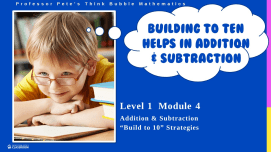 Visual presentation of algorithms for subtracting 4-digit numbers and decimals. 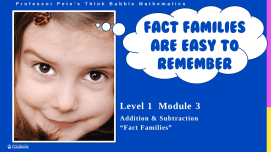 Includes regrouping and zeros. 4 pp. 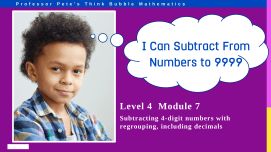 Worksheets to accompany Interactive PowerPoint Think Bubble Math 407.